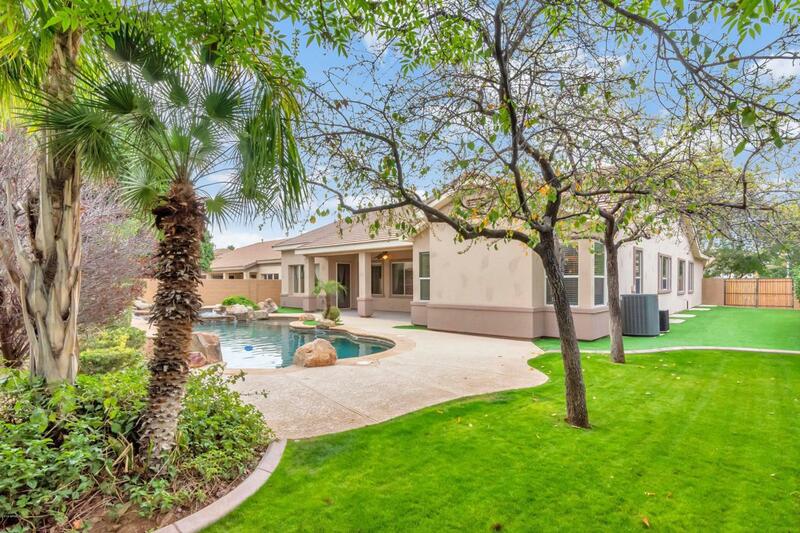 Stunning Home w/BASEMENT, 3 car garage, on a Cul De Sac w/resort style backyard. 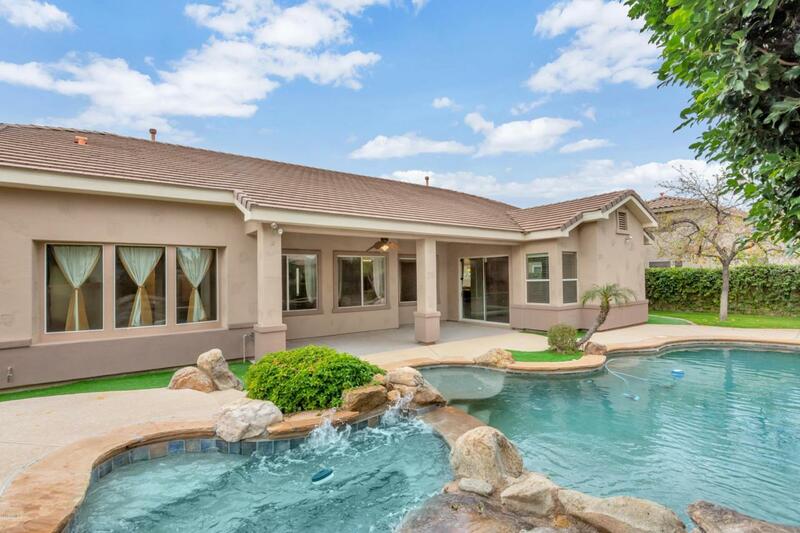 Pool & Spa w/5 waterfall features, swaying palms, 10 ft RV Gate, covered patio, & endless blue skies. 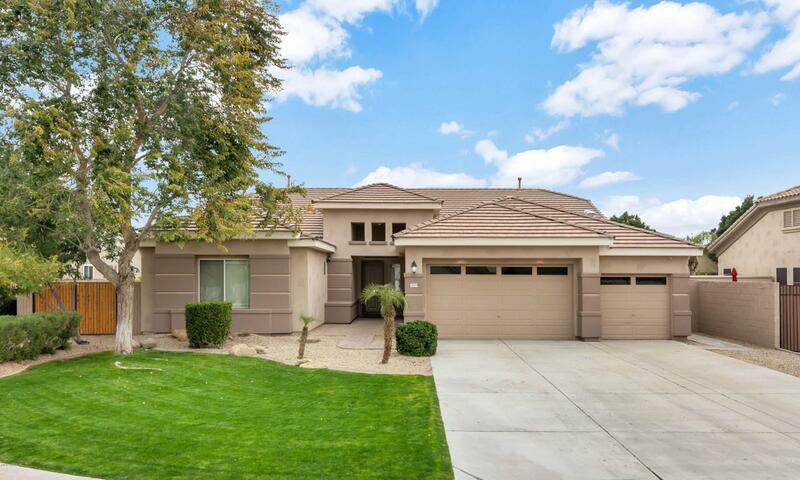 Soothing palette throughout, beautiful wood look floors & high ceilings, formal dining/living room, large windows, ceiling fans, & window blinds. Double Drs to Den. Basement Rec Rm w/surround sound & 2 bedrms & full bathrm. Eat-in kitchen boasts center island, breakfast bar, tiled counters/backsplash, double ovens, plethora of maple cabinetry & 2 walk-in pantries. The family rm is large w/patio access, media alcove & surround sound. Perfect Home for entertaining! Generous size bedrms offer lots of personalities w/ample closets. 2x6 construction, Central Vac & R/O system. See it! Love It! Live it!